There is a sense of relief around the rugby world now that the World Championship has returned, it has been a long few months since we have had some regular top tier international rugby, and we can welcome it back with the best sides in the world. But that’s not the only international rugby on over the weekend. The less high profile Pacific Nations Cup also begins this weekend. The Pacific Nations Cup began in 2006, originally called the Pacific five nations. 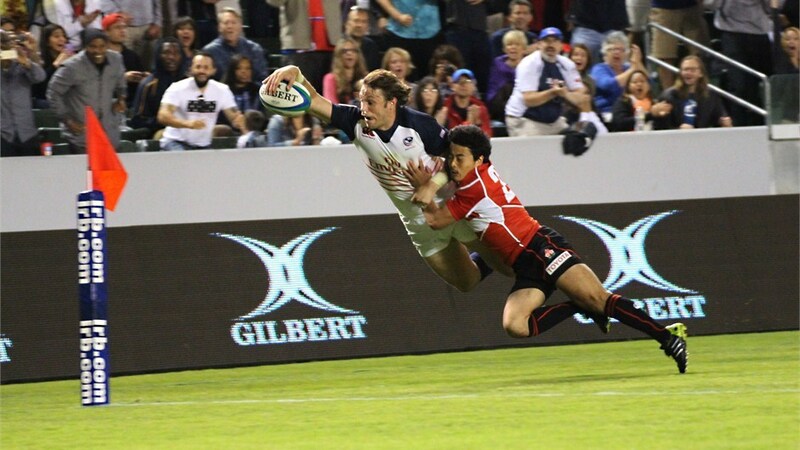 The tournament was set up by the IRB to help improve the standard of the game for tier two teams around the Pacific. Tonga, Samoa, Fiji and Japan were joined by the Junior All Blacks for a round-robin tournament. The competition has continued since with the line up changing a few times. Australia ‘A’ participated in two early editions of the competition, with the New Zealand Maori team also making an appearance. 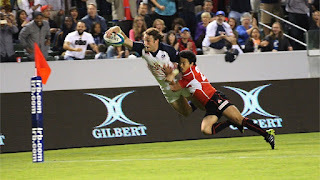 In 2013, Canada and the USA joined Fiji, Tonga, Samoa and Japan to make up the current 6 teams in the competition. The format has also changed in the last two seasons. Last year it was divided into two conferences, with Samoa and Japan both being crowned winners of the tournament. This year the tournament has changed again. The teams are divided into two pools, pool 1 contains Samoa, Japan, and Tonga, with pool 2 containing Fiji, the United States of America and Canada. The teams play the members of the opposing pools, a pool 1 team plays the three pool 2 teams and vice versa. The teams are ranked from 1st to 6th, with the top two teams playing the final, the 3rd and 4th team playing in the 3rd place playoff, and the two bottom sides playing for 5th place. It would be better for the tournament if the 6 teams simply played each other in round robin group, as it would result in more games for the teams involved and give the final standings more credibility. Unfortunately, the timing of the tournament usually clashes with the international tests meaning it can’t go on too long. The format may be somewhat messy, but it is still possible to follow, and still provides us with a worthy winner. I feel like the competition has improved since the early editions, when New Zealand and Australia entered their secondary teams. Particularly because neither the Junior All Blacks nor New Zealand Maori ever lost a game in the competition, and Australia A never lost a game to a non-New Zealand team. It takes away from the importance of the competition if some countries are entering their secondary teams and still winning. It’s fine to have this kind of arrangement in the Tbilisi Cup, as the likes of Georgia, who do play their first team, have the European Nations Cup to play for. This is the premier competition for the Pacific sides and it should be treated that way. automatically for the 2015 world cup by finishing in the top three of their 2011 pool, (although it should be noted that Samoa and Fiji were both in Pool D, and Tonga, Canada and Japan were all in Pool A). The Pacific islands always look dangerous but aside from Fijis’ quarterfinal appearance in 2007, the Western Samoans’ making the knockout rounds in 1995, and a few upset victories, they’ve never managed to make too much of a dent on the world stage. A yearly competition like this can help those sides develop. As for their chances in the forthcoming World Cup, Samoa, the USA and Japan are in pool B and have a better chance than their Pacific opponents of making the knockout rounds this year. They are up against a wooden-spoon-achieving Scotland side for second place. Samoa beat Scotland in a test match in 2013, and appear to be the most capable of advancing alongside South Africa. In fact, Samoa were actually the second seed in that group when the draw was made in 2013. Fiji are in the ‘group of death’ along with England, Australia and Wales, and will realistically be looking to take a bonus point win against Uruguay, with them likely to only be able to put up a spirited display against the bigger names. Canada also find themselves in a difficult group, with Ireland, France, and Italy looking certain to occupy the top three positions in Pool D. The Canadians will likely be fighting off Romania to avoid last place. Tonga are in Pool C with New Zealand, Argentina, Georgia and Namibia. New Zealand will surely top the pool, and an inconsistent Argentine side could be there for Tonga to cause an upset against, much as they did against France last time out. If not, we will be left with the intriguing matchup of Tonga and Georgia to try and gain a place in the 2019 competition. The Pacific Nations cup is a big opportunity for the dangerous looking tier 2 sides to gain some momentum and challenge one of the top tier nations at the world cup. If I had to make a prediction, I would think Samoa will beat Japan in the final, to provide us with the decider we should have had in 2014. Watch the 2015 Pacific Nations Cup to find out why some of these teams can develop from a tough run out, to genuine strong opposition.